The Blue Guitar by John Banville is a recommended novel about petty thief, former painter, and aging lothario Oliver Otway Orme. Olly is having a mid-life crisis. In The Blue Guitar he is sharing his thoughts and observations with us. As a narrator Olly is equal parts pretentious and self-effacing. As a man he is nearly fifty, short, stout, and married. He was a painter of some renown at one time but no longer paints, having given it up for existential reasons. He is also a thief. He lets us know right away that this is so and tells us: "The objects, the artefacts, that I purloin - there is a nice word, prim and pursed - are of scant value for the most part. Oftentimes their owners don’t even miss them." Olly has never been caught. Now Olly is stealing Polly, the wife of his friend Marcus. He comments, "Believe me, when it comes to first times, stealing and love have a lot in common." When their affair is discovered, Olly runs away to his family home to hide, although the fact that he chose to go there was really never a secret since it is the first place both Polly and his wife look. Olly truly is a man filled with regret who wants to be rescued from himself. Olly is an unlikeable and unreliable narrator, but Banville does such an excellent job describing scenes, creating this farcical character Oliver Otway Orme (O.O.O.) that you will follow all of Olly's narcissistic prose and catch the humor embedded in the descriptions and situations. 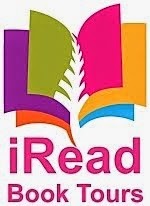 The novel is set in the Victorian Era and the language of the book reflects this. 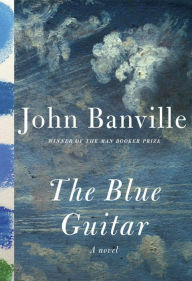 Banville is an excellent, accomplished writer, which is what saves The Blue Guitar. His vocabulary, descriptions, and observations are insightful and intelligent. The plot is very simple, though, so the majority of the book is Olly's ruminating. The plot in the first part is especially slowed paced.